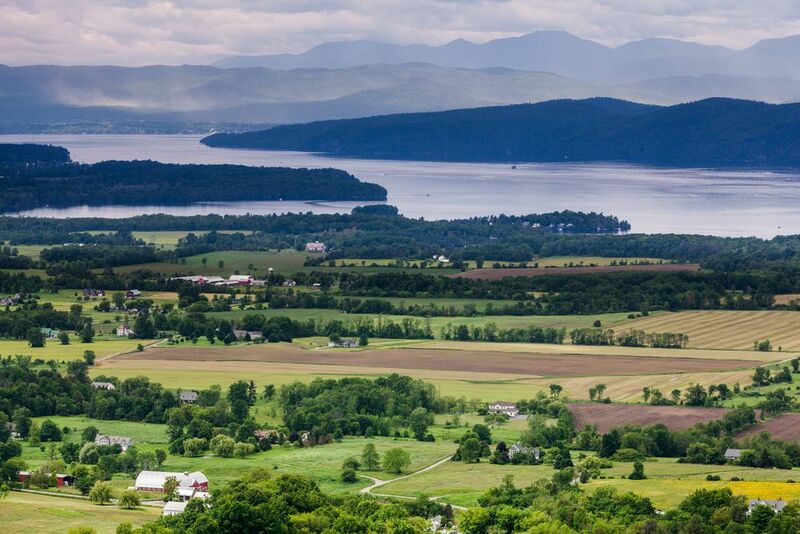 Vermont vacations let you trade the fast lane for the slow path, and the concrete jungle for the natural beauty of The Green Mountains, Lake Champlain, or Quechee Gorge. A Vermont vacation can stun you with more picturesque Covered Bridges than any other state, the springtime scent of its maple sugarhouses, or a visit to one of its many old-fashioned country stores in a fire-colored fall. The home of Ben & Jerry’s Ice Cream, Cabot Cheddar, and everybody’s favorite Teddy Bears, is waiting for your vacation. The welcome mat is out and if you enjoy spectacular scenery and unrushed days, then you’ll feel right at home on the Vermont vacations you’ll discover in these pages. The State of Vermont, tucked in the Northeast corner of the U.S., is the second largest state in New England – only Maine is bigger in area – but its population is the smallest at approx. 600,000. And this means plenty of open spaces and small quiet towns. Even during the summer months traffic jams are front-page news material! You’ll discover more than 60 destinations and attractions in this special Vermont Vacations guide section. 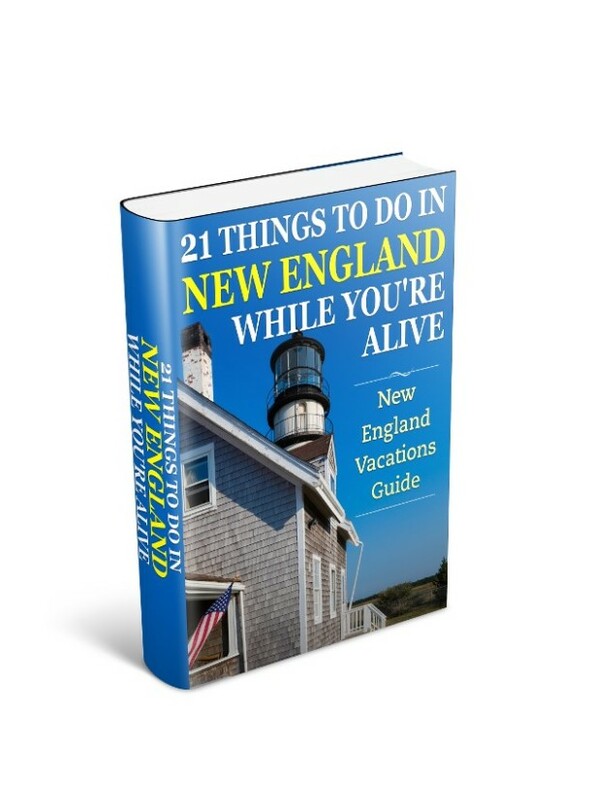 This guide is arranged into regions with easy-to-find categories, maps and directions. 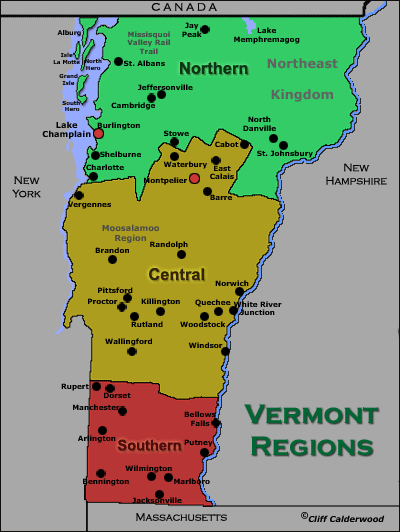 To keep everything simple I’ve split Vermont into its three generally accepted regions of Southern, Central, and Northern Vermont. In the map below you can see how it looks at a glance, and all the areas we’ll be visiting together. I hope you’re looking forward to it… I know I am. 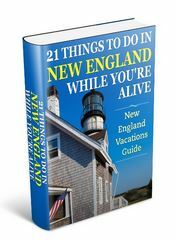 Get oriented with this attraction-packed map, as I give you an exciting glimpse into enchanting Vermont vacations waiting to be discovered by you. My Vermont Covered Bridges guide, which let’s you see at a glance where over 90 bridges are located, and a vacation in Vermont just isn’t complete until you take a trip to one of the Vermont farms open to the public listed here. Vermont has over 50 state parks, and whether you’re searching for cascading waterfalls, a mountain stream, or just a stroll through a serene forest, you’ll find a park to suit your interests here. While Maple sap only runs for six weeks in early spring, many Vermont Maple Sugarhouses are open throughout the year where you can discover the art of maple sugaring which hasn’t changed in over 200 years. My special Maple Sugarhouse guide gives you all the information you’ll need to enjoy this unique treat while on your Vermont vacation. The rural feel to Vermont has encouraged the spread of old fashioned country stores everywhere. Vermonters believe that shopping should be a friendly and enjoyable experience, with unhindered time-to-browse… and it seems most people on Vermont vacations agree. Here are my Vermont Country Stores listing to help you pick out a special one to visit during your trip. And finally, Vermont boasts a rich historical heritage of revolutionary battles, birthplace of presidents and statesmen, and significant homesteads. Many of these are state-owned and scattered throughout Vermont. I’ve pulled them all together in a special Vermont Historic Sites guide here. So if you’re ready to take a spin through the regions and hit a bunch of high spots then let’s get going… but please… feel free to click and follow your own path if you spot a region or destination you want to discover more about now. Just promise to come back to this page often so you can follow another path later, or you’ll never know what you missed and it could just be the perfect destination for your Vermont vacations. North of the Berkshires lies the first region of the Green Mountains state. Its close proximity to the Southern New England states makes many of its destinations and attractions an enjoyable day trip. A southern Vermont vacation offers smalls towns with village greens, white steeples and attractive bed and breakfasts. The town of Bennington offers visits to historic Bennington Battle Monument, the marvelous Bennington Museum, and one of the finest Victorian mansions in New England at Park-McCullough Historic Estate. With cows at pasture, corn-filled valleys, and orchard dotted hillsides, places like Adams Farm and the Merck Forest & Farmland Center are major attractions in the area. They are open to the public to enjoy a fun-filled experience on how Vermont manages its precious land resource. For enthusiasts of wine North River Winery offer tours and tasting at its Jacksonville location. As far as we know Abe Lincoln never visited Vermont, but his sole surviving child did… and was so smitten with it, he built his summer home at Hildene in Manchester. Tour the wonderful house and grounds, and then take the gentle and scenic Green Mountain Flyer train ride from Bellows Falls to the Chester Depot. Stretching from Chester all the way up to Waterbury, the central region of Vermont encompasses a mind-boggling range of destinations and attractions for Vermont vacations. 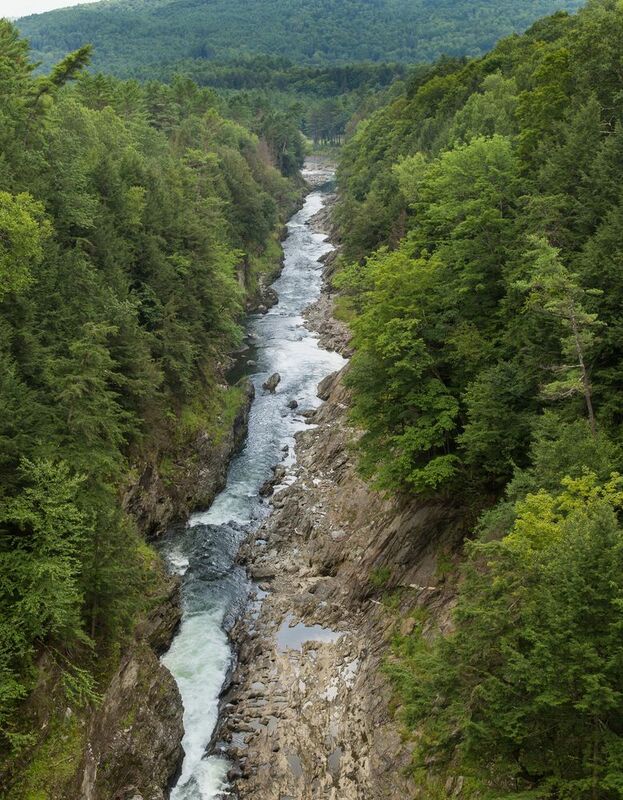 Scenic Quechee Gorge – Vermont’s Grand Canyon – is one of the states top attractions, and is close to both the enthralling birds of prey Vermont Institute of Natural Science (VINS), and the shopper’s delight at Quechee Gorge Village. The historic Woodstock area includes the captivating Marsh-Billings-Rockefeller National Historic Park, and Billings Farm and Museum. This is Vermont at its finest, with nature walks and trails, stunning scenery, and a chance to discover land management techniques that have kept Vermont at the forefront of conservation in the U.S. The Green Mountains in Central Vermont attract travelers from around the world. Killington Peak isn’t only the Northeast’s largest ski resort in winter, but offers summer trekking, and fine Vermont lodging and dining in the nearby town of Rutland. While in Rutland take in the authentic English manor at Wilson Castle, and then head north to the gorgeous Moosalamoo Region near Brandon and Lake Dunmore – another Vermont vacations hiker’s paradise. Museums abound in this area ensuring no shortage of things to do on your Vermont vacation. Unusual museums to check out include the information-packed New England Maple Museum in Pittsford, a chance to explore shipwrecks and antique boats at Lake Champlain Maritime Museum in Vergennes, and the exquisite collection of music boxes at the Porter Music Box Museum in Randolph. Other museum trips for your Vermont vacations include the Sutherland Farms quarry and galleries at the Vermont Marble Museum in Proctor, the amazing mechanical arts on display at the American Precisions Museum in Windsor, and the child-friendly exhibits and Science Park at Montshire Museum of Science in Norwich. The border region with Canada offers the unforgettable destinations of the Lake Champlain Islands, the Northeast Kingdom, the Stowe and Jay Peak areas, and Burlington – Vermont’s largest city. Those alone are reason enough for visiting this region on your Vermont vacations, but there’s a lot more on offer, as you’ll see. The Lake Champlain Islands offer outdoor recreation, historic villages, and wonderful dining and lodging. The connected Islands are Alburg, Isle La Motte, North Hero, Grand Isle, and South Hero, and visitors to these islands are greeted with seven state parks with an abundance of camping, swimming, and fishing opportunities. Lake Champlain is the sixth largest freshwater lake in the United States, and sailing and boating are favorite pastimes for vacationers. On the shore of Lake Champlain is Burlington, a small city but definitely the hub in this region. Burlington offers Lake Cruises around the Islands, a scenic train ride through the Champlain Valley, and the world-class ECHO Lake Aquarium and Science Center, at the Leahy Center for Lake Champlain. Close to Burlington is the Ethan Allen Homestead and Museum where you can learn all about one of Vermont’s most famous sons. The Northeast Kingdom tucked in the uppermost Northeast portion of the state is 1.3 million acres of small towns and wilderness. Chock full of public forestland, parks, lakes, ponds, rivers, and streams, it’s an area for the adventurous and is Vermont preserved at its best. Both areas of Stowe and Jay Peak continue Vermont’s back to nature theme. While it’s true Stowe is a popular destination during both winter and summer, it still has a mountain village feel to it. Wonderful lodging, fine dining, and shopping, and all with the majestic backdrop of the states highest peak of Mt. Mansfield, make Stowe a must-do stop on any Vermont vacation. Jay Peak area is about as far north as you can go in Vermont without speaking French Canadian. Like Stowe, a popular ski resort in winter, the area is full of year-round Vermont vacation activities. Plenty of covered bridges to view, and wilderness areas to hike, walk, bike, fish, and canoe. Make sure you ride the all-season aerial tram to the top of Jay Peak for a spectacular view of four states and Quebec. It goes without saying that Vermont has some of the finest lodging and accommodations in all of New England. From budget cabins to resort and spas that offer the best pampering you can get anywhere in the region.